Here at Montvern Panel Masters, we’re experts in auto body repair. We are responsible for getting fleet and luxury vehicles back on the road quickly. A big part of our comprehensive panel beating services is bumper repair. Today we’re going to share some trade secrets and let our readers in on our bumper repair process. Let’s check it out! The first step is removing the plastic cover from the bumper bar. This can be a complex job, as the screws that keep the plastic covering on are sometimes hard to locate and vary from make to make. The next step is determining what adhesive to use. This depends on the type of plastic in your bumper bar. Most bumpers have a stamp that identifies the type of plastic. Once we know, we can choose a suitable adhesive. We then slightly scuff the damaged area and clean it with a surface cleaner. If the bumper is cut or torn through completely, we may have to replace the entire bumper. After we rinse the bumper and let it dry, we prepare it with an industrial solvent. We take great care in how we apply this, making sure that we wear appropriate protective equipment. We also use a grinder to sand off any rugged edges of the damaged bumper to make it smooth. Sometimes we also need to drill several small holes into the surface area. The structural repair material flows through the holes, allowing it to further reinforce the repair. We apply an adhesive to both sides of the bumper and wait at least 10 minutes. Some adhesive manufacturers recommend a longer wait time. We use our years of industry experience to ensure that the job is done right. We apply the proper structural repair material to a backing reinforcement piece. This needs to cover the back of the bumper too. We then shape some contouring plastic around the bumper to match the exact shape and curve of the bumper. This is one of the most satisfying parts of the process, as your repair starts to take its final shape. Your bumper wouldn’t be complete without some finishing touches. After the bulk of the job is finished we usually wait an hour or two before applying these touches. When it’s ready, we sand the bumper at a low speed to make it smooth and even. We finish off by applying a plastic finishing putty or filler in case we’ve missed anything. It’s so important to choose an experienced and professional panel beater to perform this technique. While it can get tempting to DIY, remember that there are people who do this for a living who make it an art form. 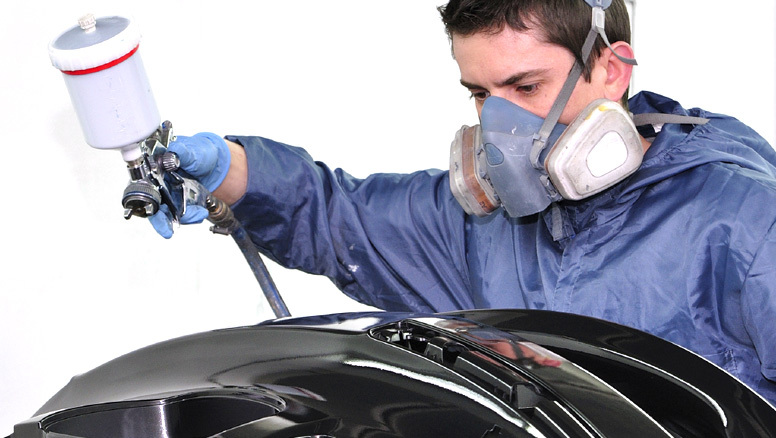 Always choose an experienced panel beater in Melbourne for any bumper repairs. Had an accident? Need to have a bumper examined and repaired? Choose Montvern Panel Masters for efficient, experienced and elegant work. We specialise in luxury cars and fleet vehicles. Call us on 9874 5899 or enquire online. We look forward to hearing from you.